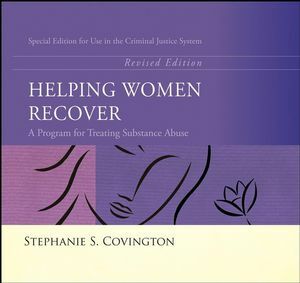 Since it was first published in 1999, Helping Women Recover has set the standard for best practice in the field of women and addiction. 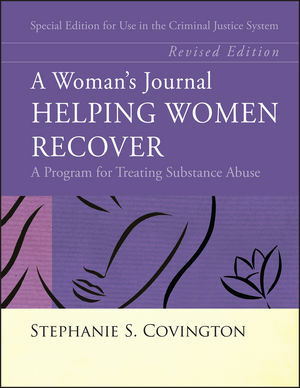 Helping Women Recover is based on Dr. Covington's Women's Integrated Treatment (WIT) model. It offers a program specifically designed to meet the unique needs of women in correctional settings who are addicted to alcohol and other drugs or have co-occurring disorders. This thoroughly revised and updated edition includes evidence-based and empirically tested therapeutic interventions that are used to treat substance abuse and trauma in an innovative way. The Helping Women Recover program offers counselors, mental health professionals, and program administrators the tools they need to implement a gender-responsive, trauma-informed treatment program within the criminal justice system. Included in SAMHSA’a National Registry of Evidence-based Programs and Practices. Stephanie S. Covington, PhD, LCSW, is a nationally recognized clinician, author, and organizational consultant noted for her pioneering work on women's issues. She has over twenty-five years of experience in the design and implementation of treatment services for women and is recognized for her work in both the public and private sectors. For the past fifteen years, Dr. Covington has worked to help institutions and programs in the criminal justice system develop effective gender-responsive services. She has provided training, technical assistance, and consulting services to the United Nations Office on Drugs and Crime, the National Institute of Corrections, the Center for Substance Abuse Treatment, the Correctional Service of Canada, the Federal Bureau of Prisons, and many state and local jurisdictions.